…to provide safe, effective, and fun aquatic instruction for children and adults of all ages and skill levels. Our instructional techniques foster positive results through appropriate developmental skill progression. Our systematic desensitization techniques aid in the reduction of fear and inspire personal liberation. …to continue to expand our services and programs to best serve the communities in which we operate our schools. We are focused on increasing our knowledge and certifications as well as becoming a full service aquatic organization, offering programs and services that are unparalleled within our industry. …that makes us who we are. We hire and train the most kind, caring and energetic individuals to deliver our program to our families. We strive to provide the most innovative training techniques and continuing education platform in our field. Our team is always our most valuable asset. 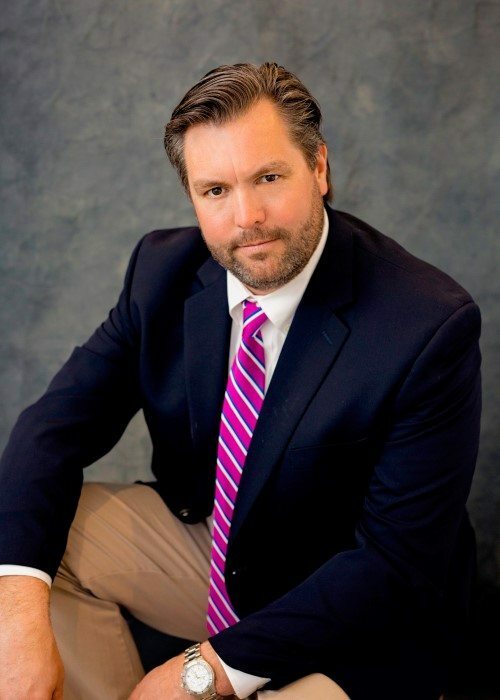 Joe Oehme was born and raised in the New Jersey Shore area where he grew an affinity to aquatics. Growing up “down the shore” provided Joe with the opportunity to engage in many activities. Swimming, boating, surfing, & fishing became second nature and he embraced the “waterman” lifestyle. At age 15 Joe was certified by the American Red Cross as a lifeguard and worked on an ocean rescue squad for 3 seasons. This gave him a true appreciation and respect for water. At 18 he was certified as a Water Safety Instructor and began teaching swimming lessons at one of the East Coast’s premier centers for health education and recreation. Joe got involved in coaching age-group swimming and was one of four coaches for children ages 6-18 yrs. The following season Joe was given the position of Head Swim Team Coordinator where he enjoyed three successful swim seasons and introduced “Stroke Technique” courses for swimmers to enhance their skills and build endurance. During this time, Joe was introduced to Pierre Gruneberg of France, whose innovative swim breathe training and fear-reducing techniques provided a new approach for adult swim instruction. Joe incorporated “Le Methode Gruneberg” into his own teaching style and developed a systematic desensitization technique to reduce fear and anxiety as it related to swimming. This soon became his passion, and his studies continued formally at the Richard Stockton College New Jersey, where Joe received his BA in Psychology. Upon graduating college, Joe’s new “learn to float” philosophy took him to Encinitas in Southern California where he taught and coached swimming. Here he introduced his innovative instructional techniques and fear-reducing methods. Joe was able to share these methods with adults while consistently assisting his students to overcome their fear of water and attain personal liberation. 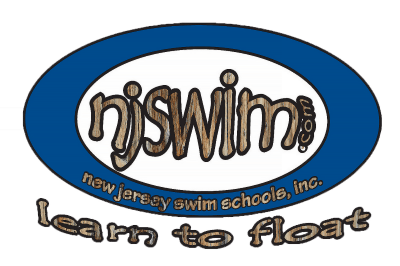 In 2001 Joe developed New Jersey Swim Schools, Inc. and opened his first private swim school for children and adults in West Orange, NJ. He soon moved the program to Brooklake Country Club in 2002 where it is still operational today. In 2010, Joe opened Njswim Sparta and in 2011 Njswim Warren. In 2014 Joe and his team built Njswim Lakeside in the Landing section of Roxbury Township. And in September 2015, Njswim added its Manasquan, NJ location. Joe is an active member of the United States Swim School Association, Stop Drowning Now and the Safer3, and the National Drowning Prevention Alliance. Joe and his beautiful wife Katie have 3 children Emma, Eli Joe, and Luke and reside in Brielle, NJ. Joe enjoys sharing his methods with others while enjoying his time in and around the water with his family. Joe is on the Board of Directors of the non-profit organization STOP DROWNING NOW, a global nonprofit 501(c)(3) organization with a mission to save lives through water safety education. 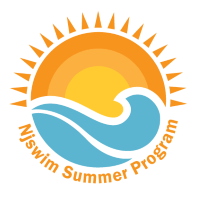 Through a range of programs and events, this group works with water safety advocates by providing them with the educational tools needed to combat the epidemic of drowning and providing a drowning prevention curriculum for school age children. Christine has been working both in the water and with children through coaching swim team and teaching swim lessons for the past 15 years and with Njswim since 2009. She swam competitively for over 13 years and graduated from Fairfield University in May 2009 with a Bachelor’s Degree in Psychology and Marketing. Christine lives in Morristown with her husband, and in her spare time she enjoys reading, working out and spending time at the beach. Julia resides in Ogdensburg, NJ but grew up in Vernon, NJ. She attended Cerro Coso College and studied Business Management in Mammoth Lakes, Ca. In addition to her passion for swim education, Julia is also a Certified Pool Operator and a Certified Personal and Group Fitness Trainer. Amy has held positions working with children for the past 20 years and has always loved to swim. Amy graduated from the University of Delaware with a BA in English with a concentration in film and holds a teaching certification for grades K-5. Amy enjoys cooking/baking and spending time with family and friends. She has been married to Scott since 2011 and they welcomed their first child, Mason in 2015. Mason started as an Njswim Water Baby and is thriving in our swim progression. Amy loves being able to provide a safe, effective and fun environment for her team members, swimmers and families! Stephanie has been with Njswim for one year now and is one of our Assistant Managers at our Lakeside Location. She resides in Morristown, but grew up on Lake Hopatcong. She attended County College of Morris for 2 years and studied Criminal Justice. Her passion for helping others is one of the many reasons she loves her job here at Njswim. Stephanie is the mother of a two year old boy Eli, who is one of our swimmers at Njswim! In her spare time she enjoys hiking and spending time with her son. Linda is the Location Manager at Njswim Manasquan at the Atlantic Club in Manasquan, NJ. She has worked for Njswim for over seven years starting out teaching just 2-3 days a week while in college. Linda graduated from Fairleigh Dickinson University in Madison, NJ. While at FDU, she played lacrosse and was captain of the team her senior year. In her spare time, Linda enjoys live music, walking with her dogs and spending time with family and friends.